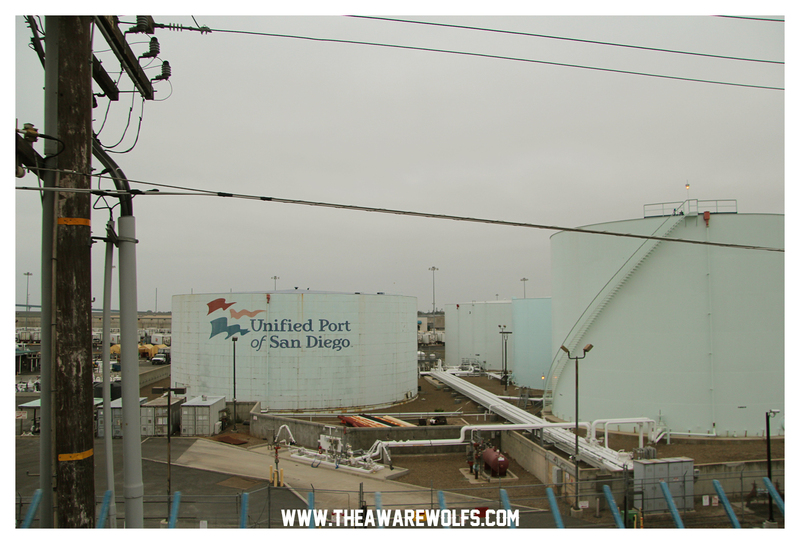 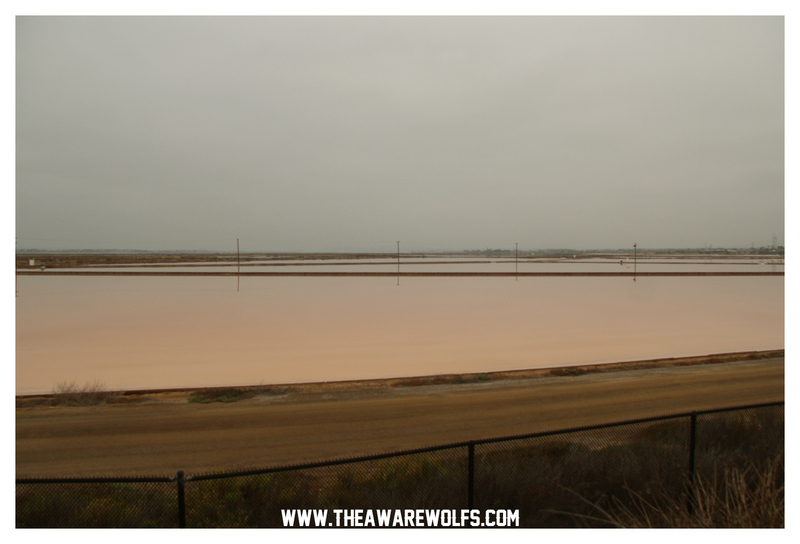 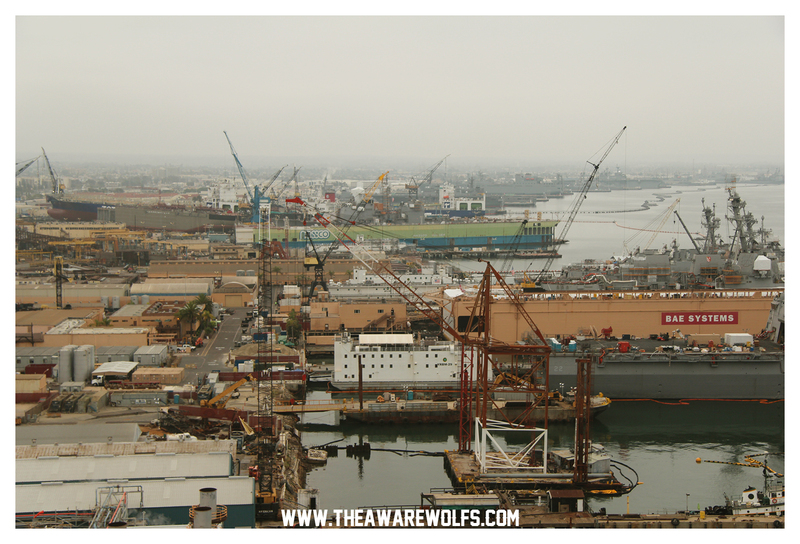 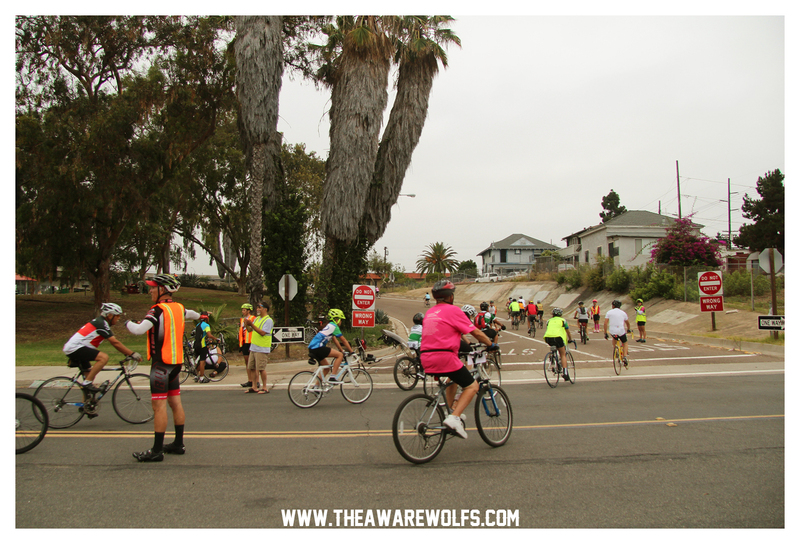 At 6:30 AM on an overcast morning in San Diego, hundreds (thousands?) 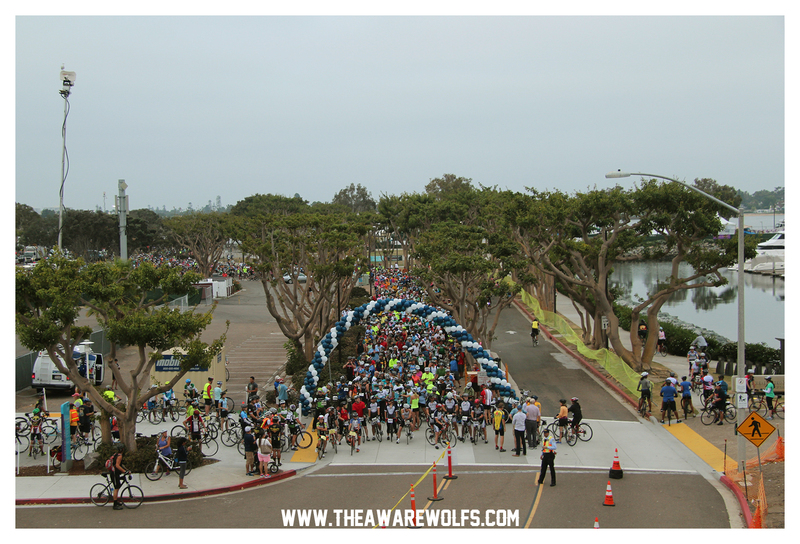 of cyclists lined up in South Embarcadero Park for San Diego County Bicycle Coalition’s Bike the Bay. 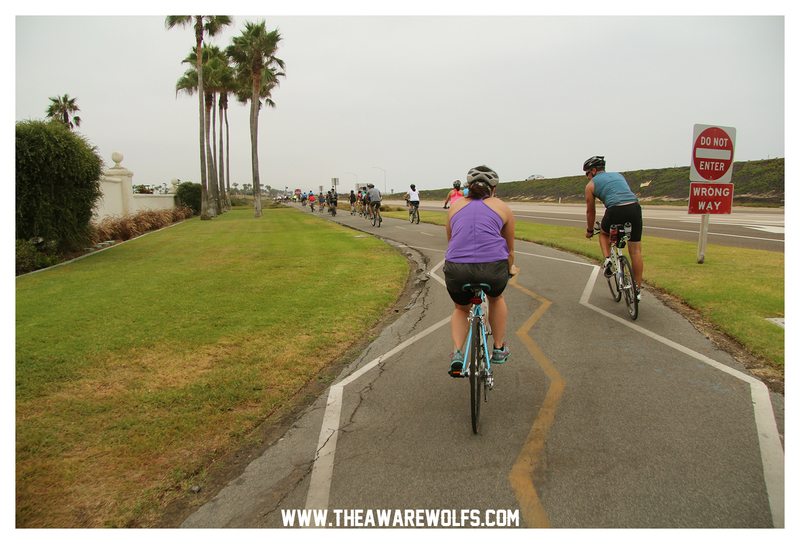 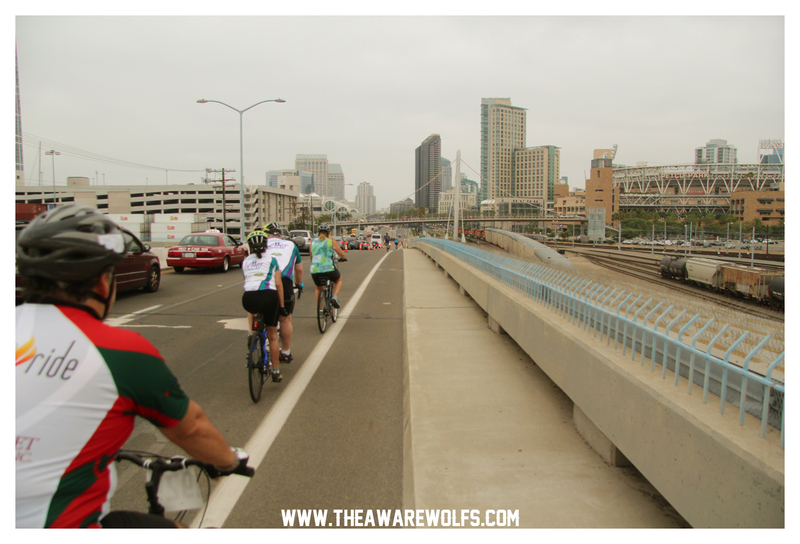 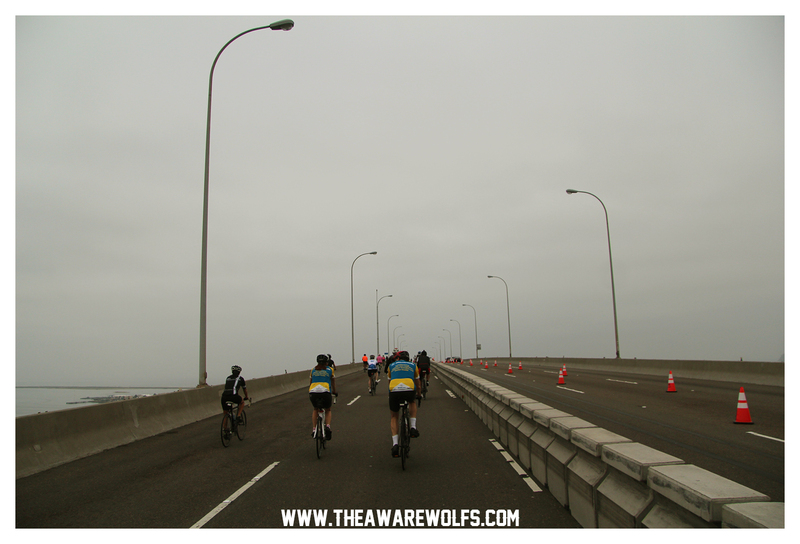 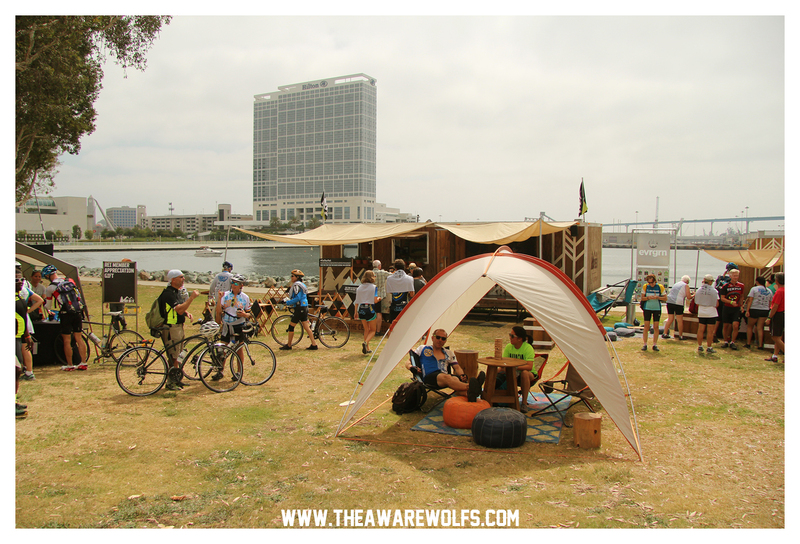 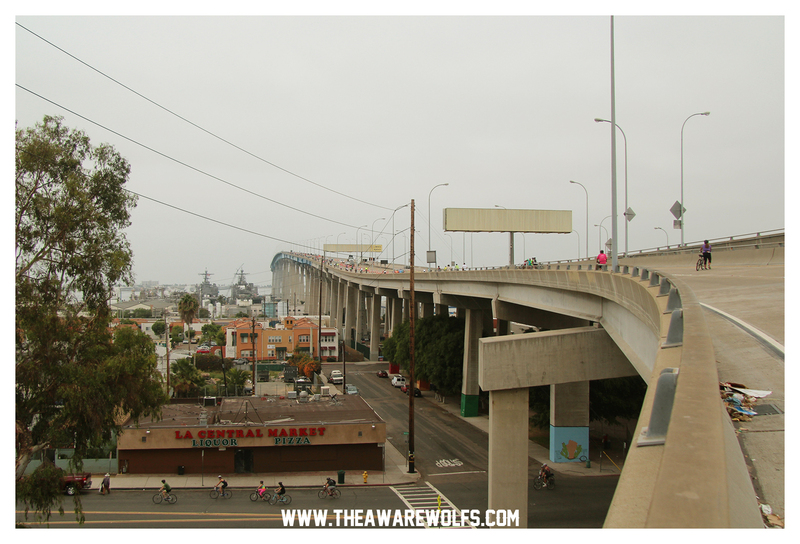 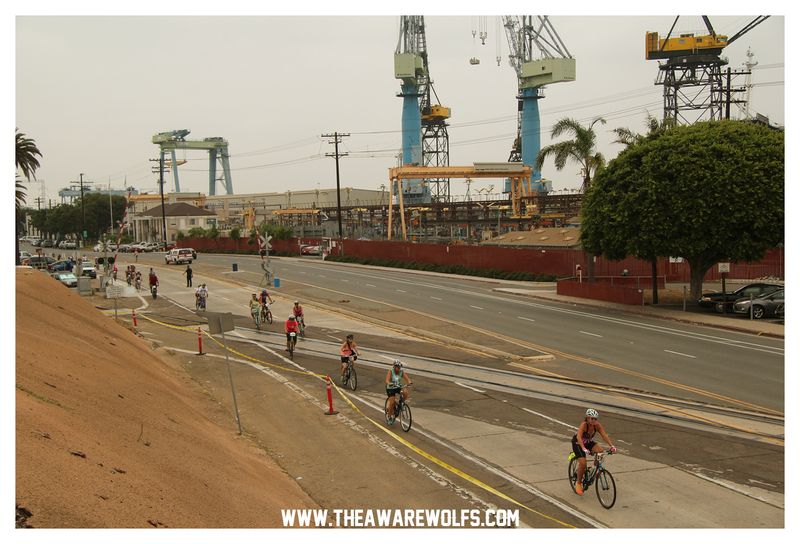 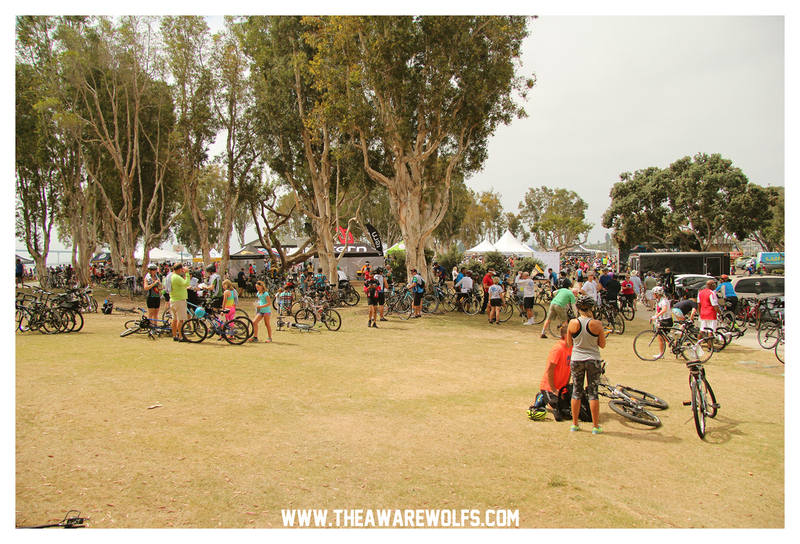 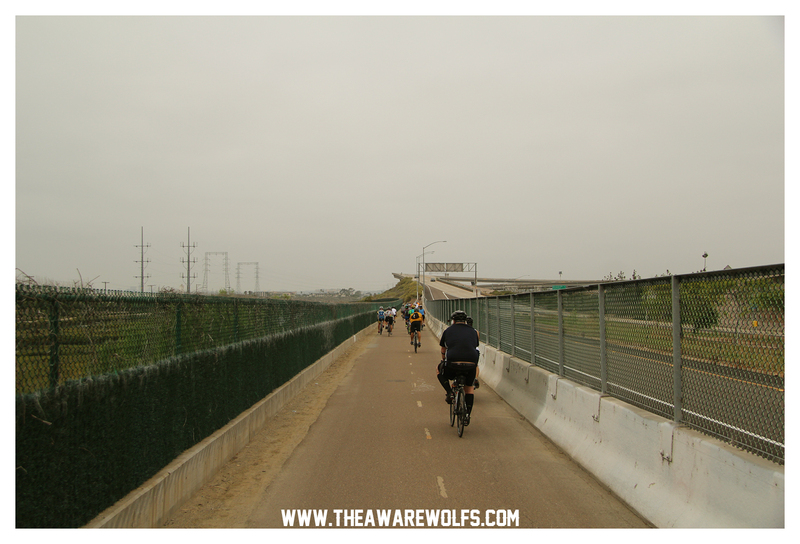 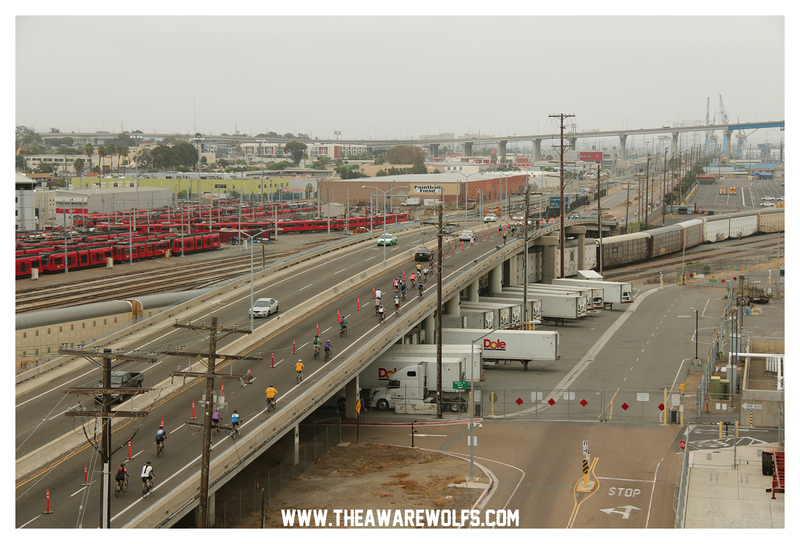 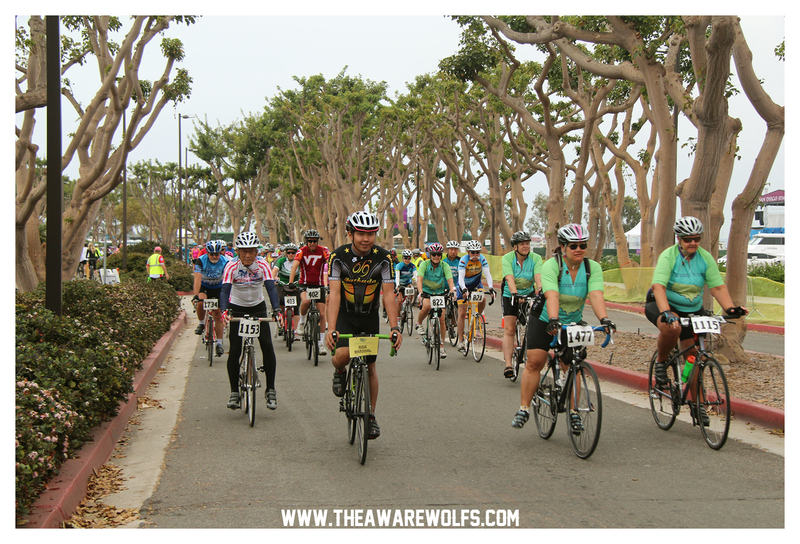 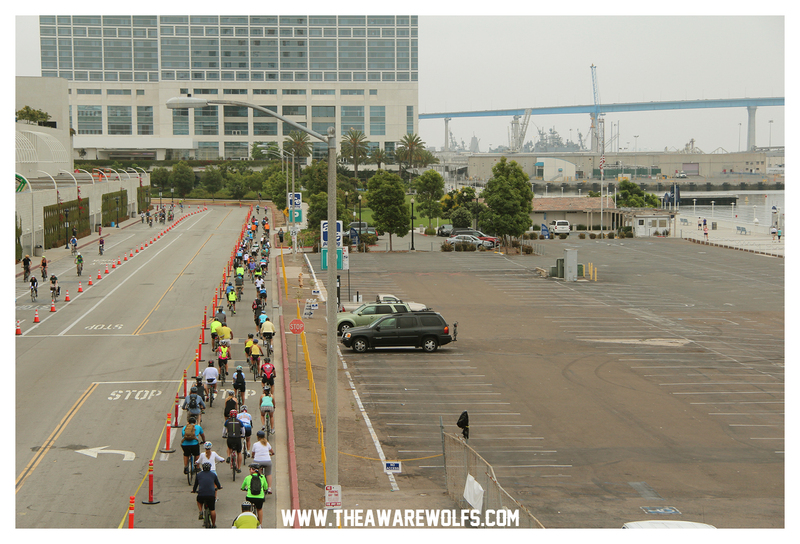 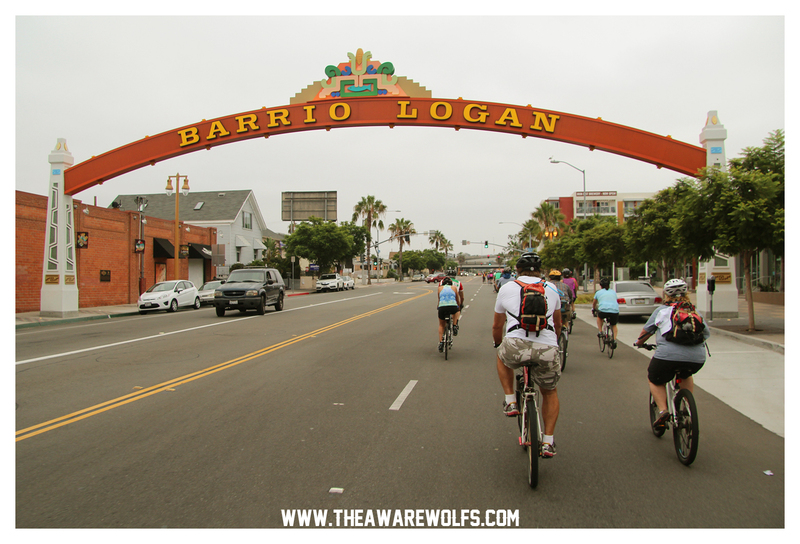 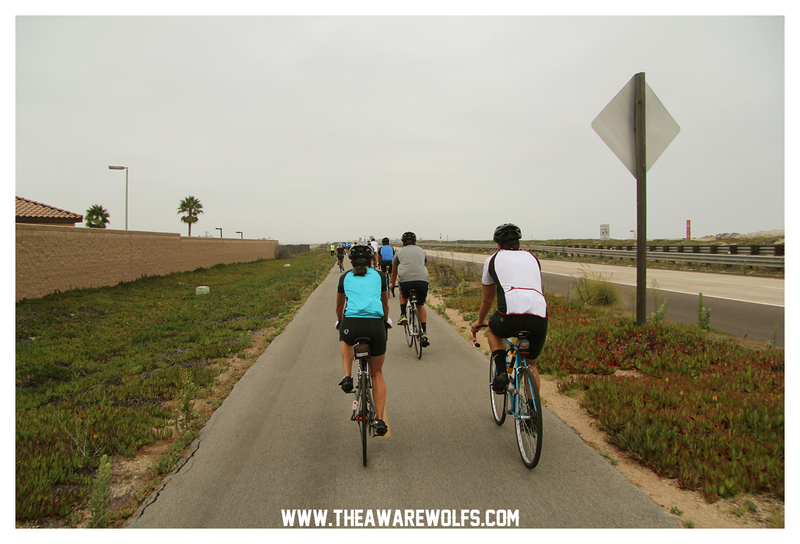 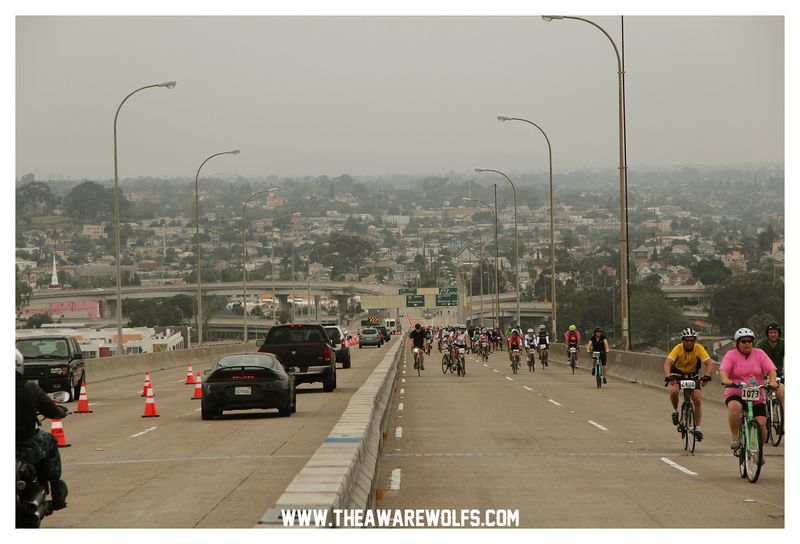 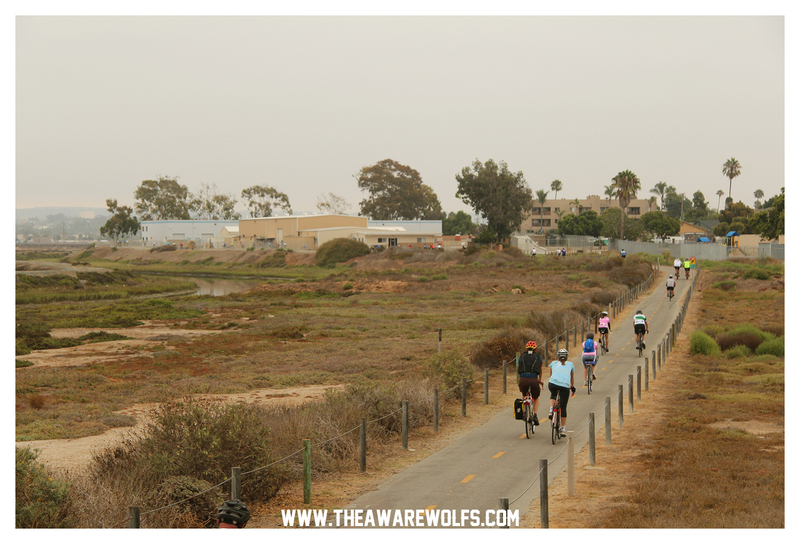 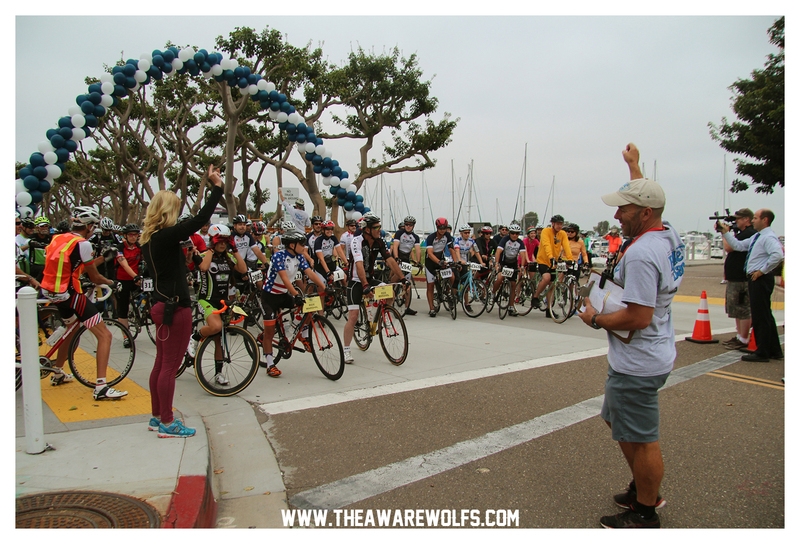 The route was a 25 mile, non-competitive ride over the Coronado Bridge – a bridge that currently is not pedestrian accessible – and around the San Diego Bay returning back to the start in Downtown’s Sea Port Village. 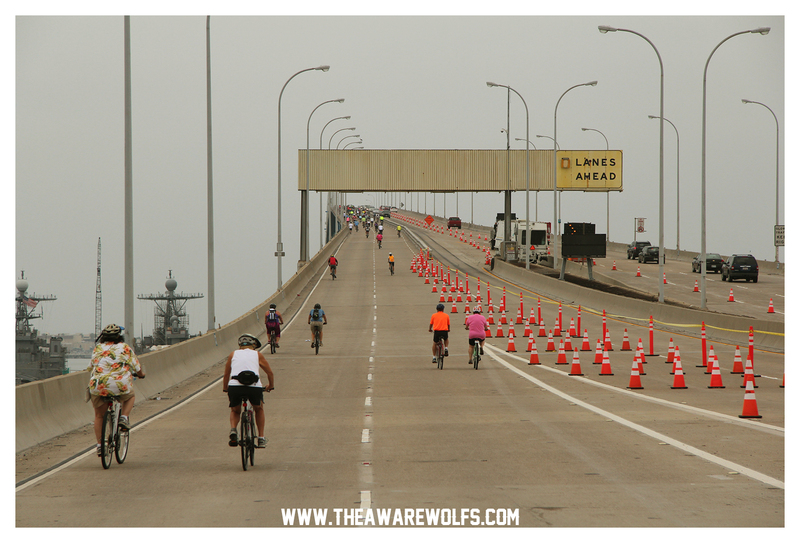 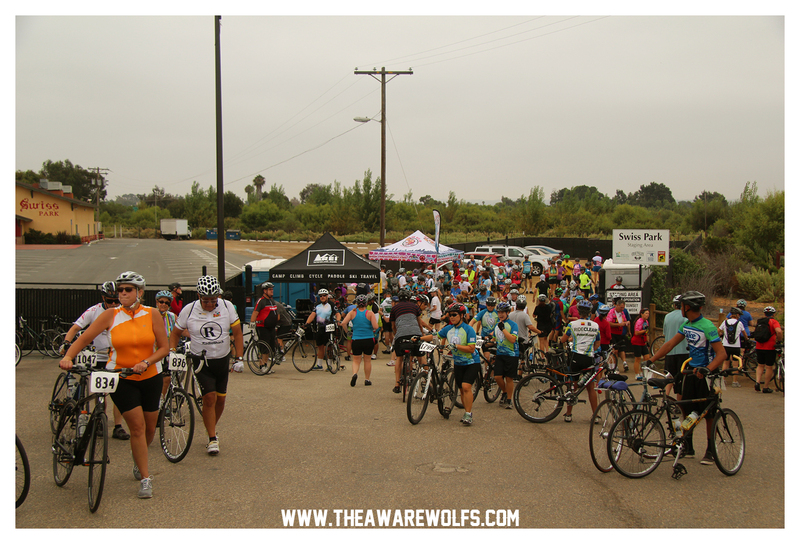 The amount of support involved in this ride is incredible. 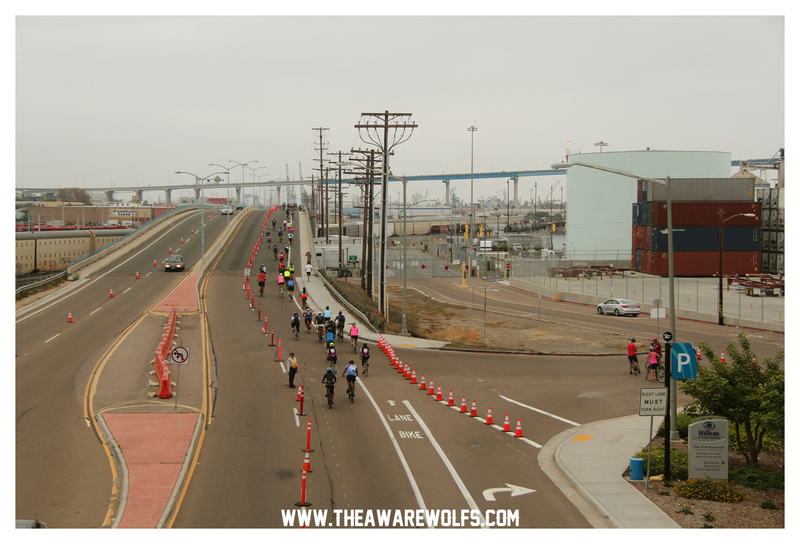 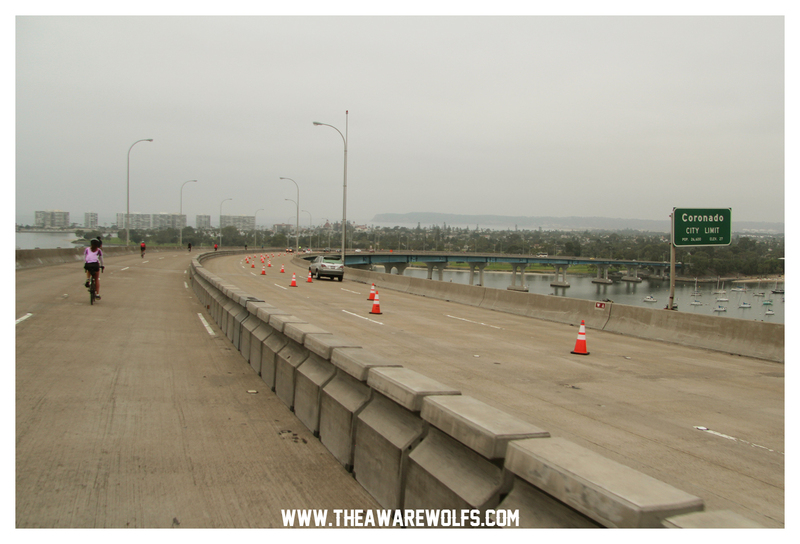 When you see all the photos in a sec- notice all the cones laid out, all the people stopping traffic, all the volunteers, and you might see how many people WANT to ride their bikes over the one thing they CAN’T in San Diego. 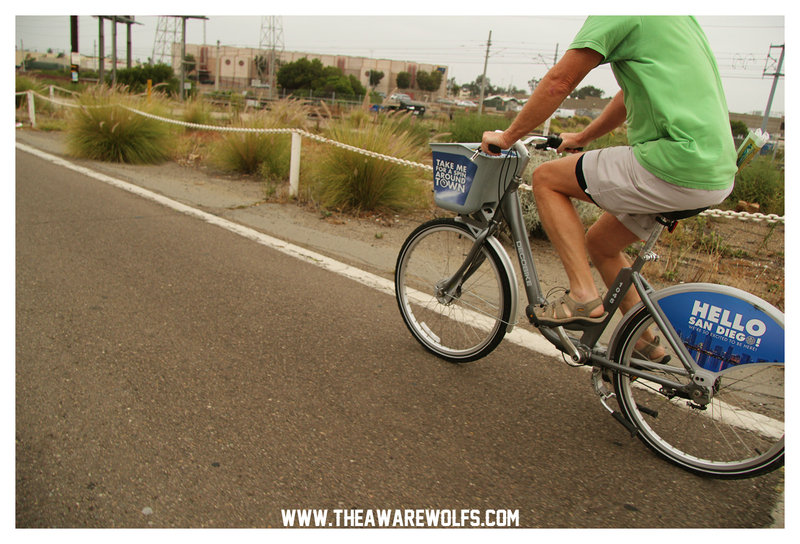 Every kind of shredder was there – from kids on BMX bikes to Eliptigos to tandem recumbents to Deco Bikes. 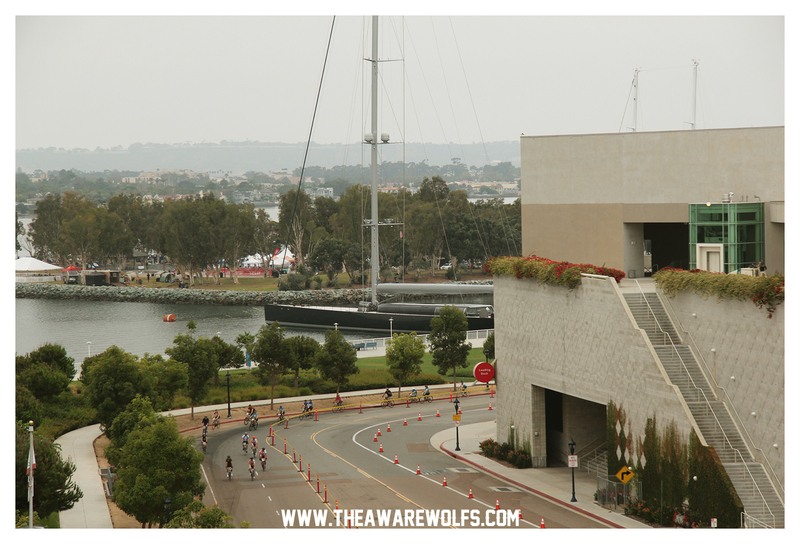 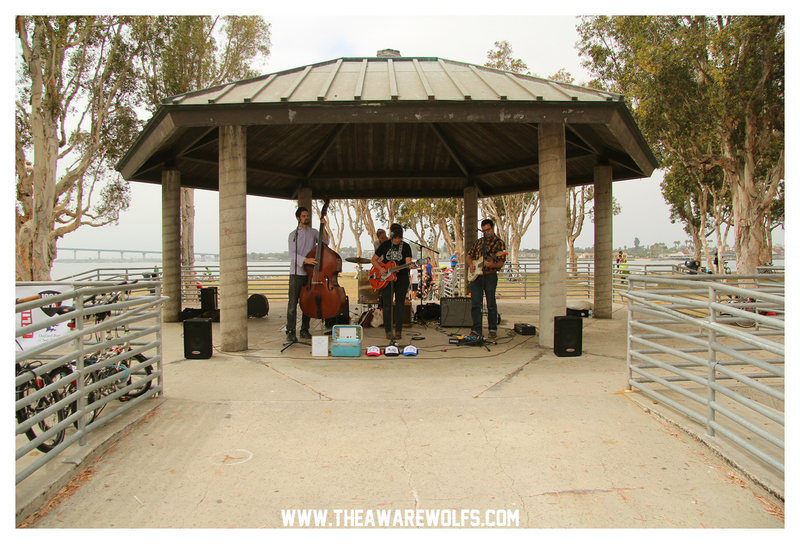 All this combined makes for such a fun and family-friendly way to spend your Sunday morning in America’s Finest City. 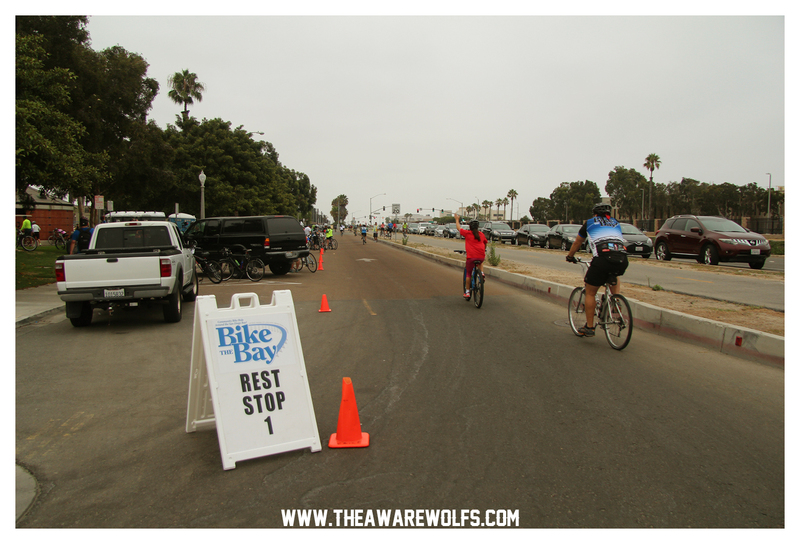 Bike the Bay is on it’s 8th year and when you’ve witness first hand a ride like this grow over the years, it’s an honor to be a part of it. 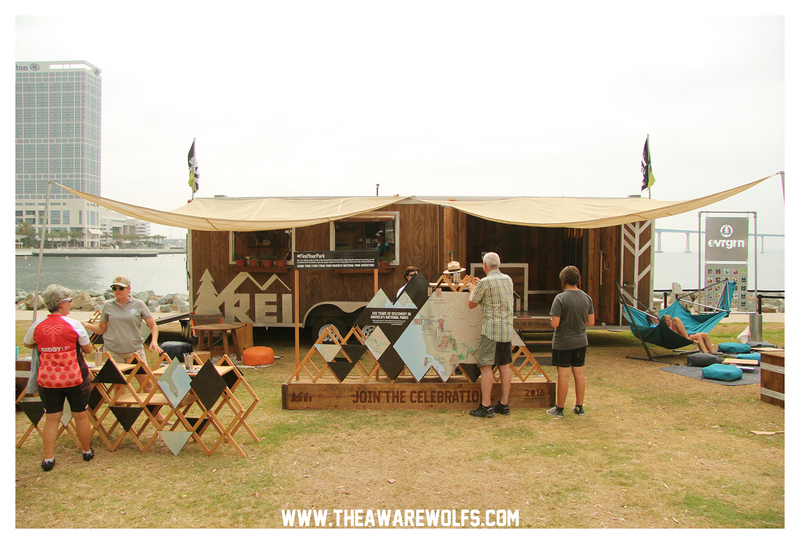 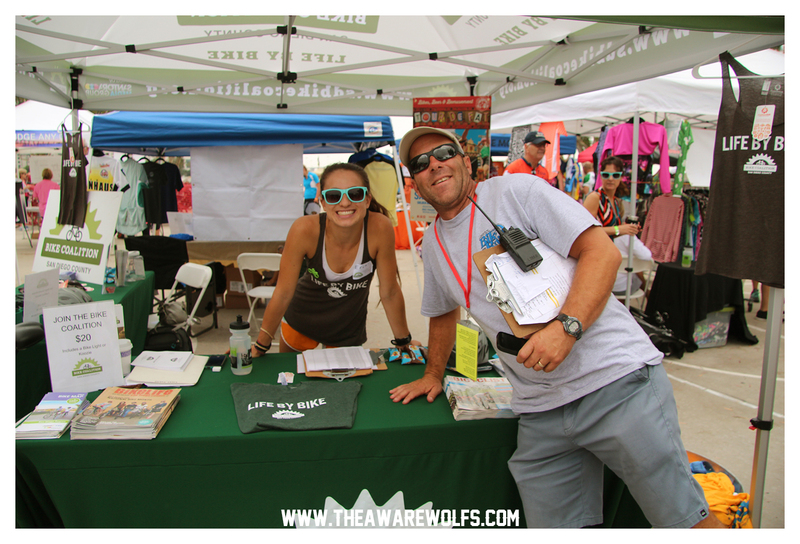 The Awarewolfs had a booth set up for the first time at one of these so THANKS everyone who stopped by, bought some gear, ate our donuts, or said yo. 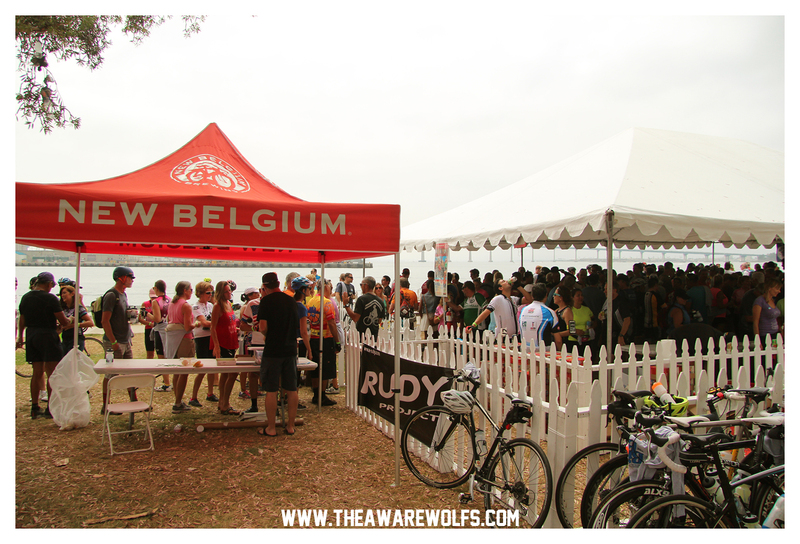 After completing the ride, riders were directed to the New Belgium beer garden. 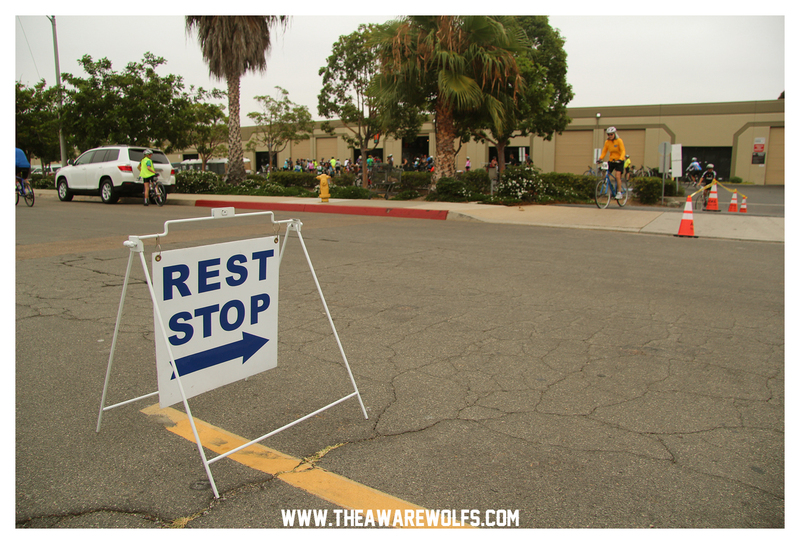 Well, maybe not “directed”. 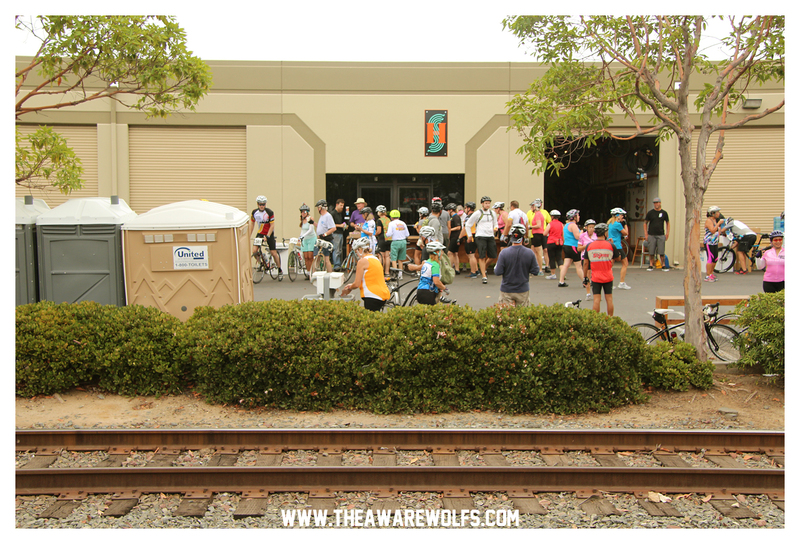 More like, ‘entranced’ or ‘allured’ to the New Belgium beer garden. 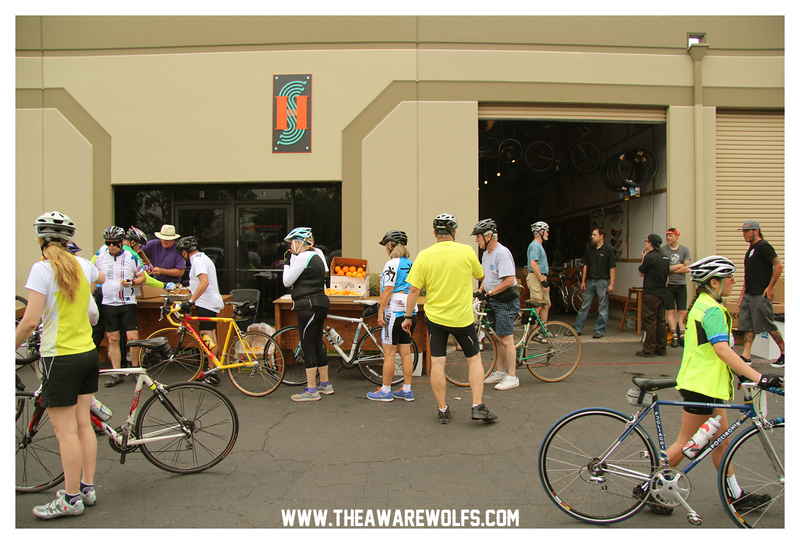 Like flies to light and oh man those beers were tasty! 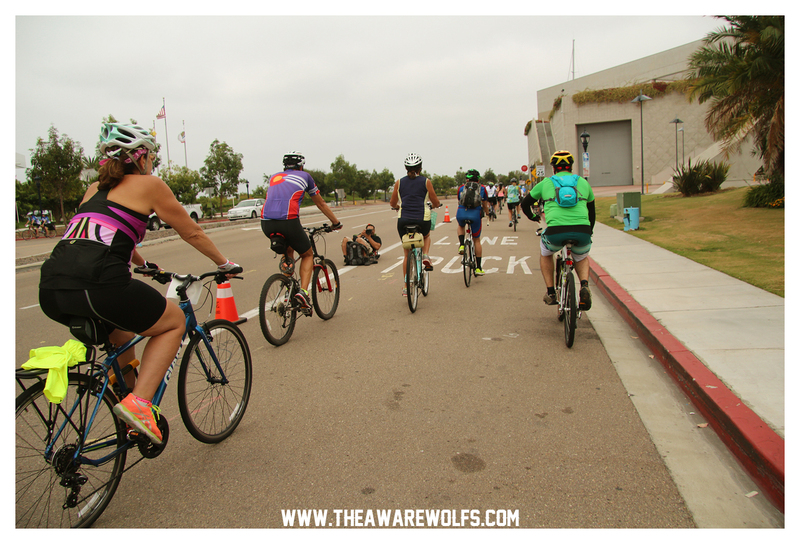 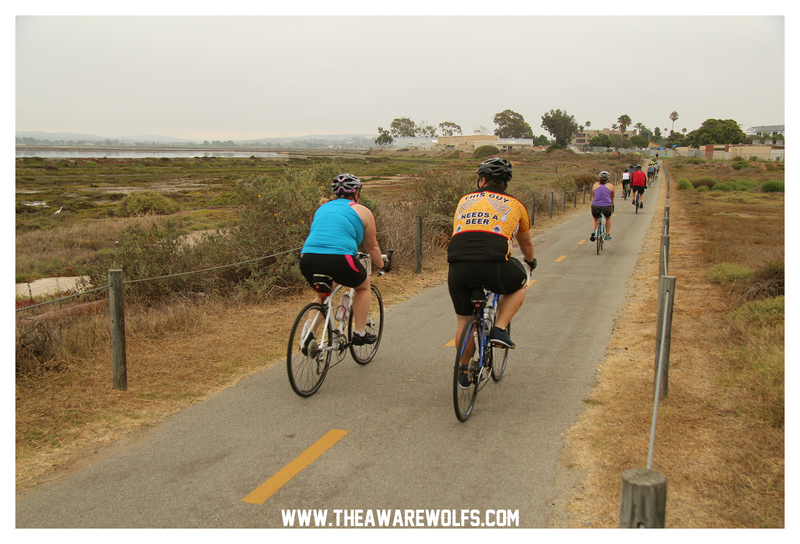 To cap all this epic off, proceeds from the Bike the Bay ride benefit the San Diego County Bicycle Coalition (SDCBC), which is a non-profit 501(c)3 organization dedicated to making bicycling better in San Diego. 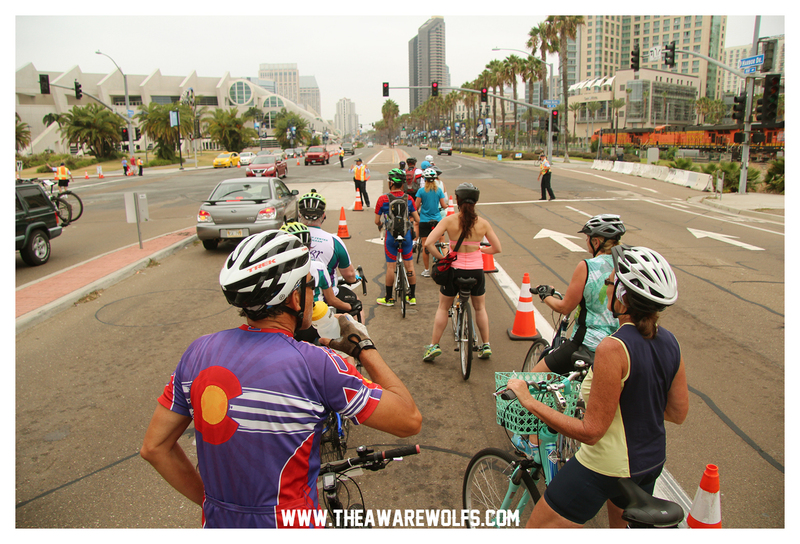 The SDCBC provides educational programs, promotes awareness of bicyclists and bicycling issues in San Diego. 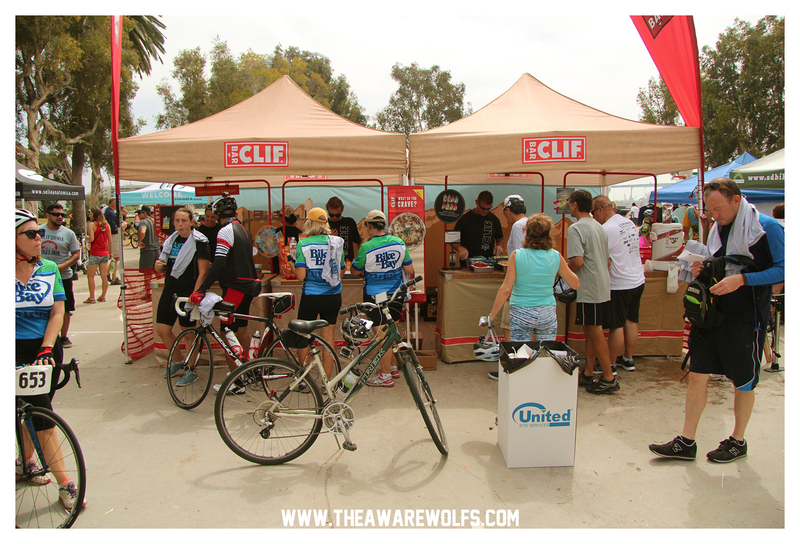 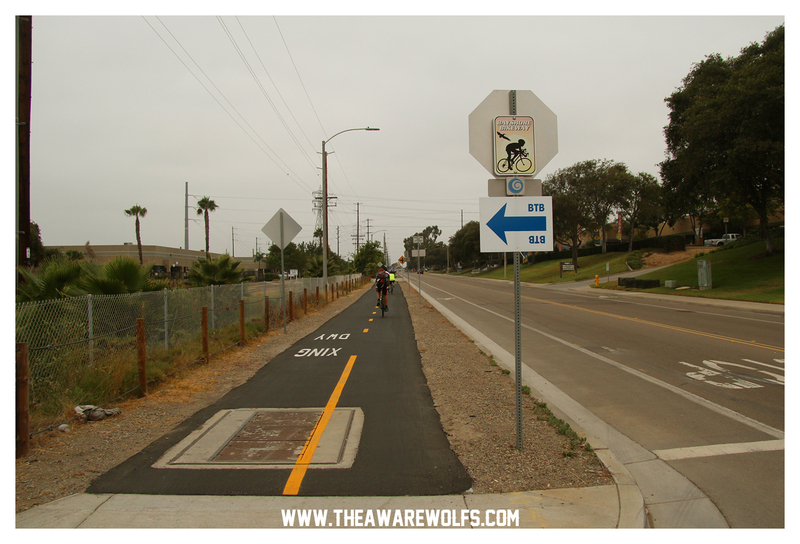 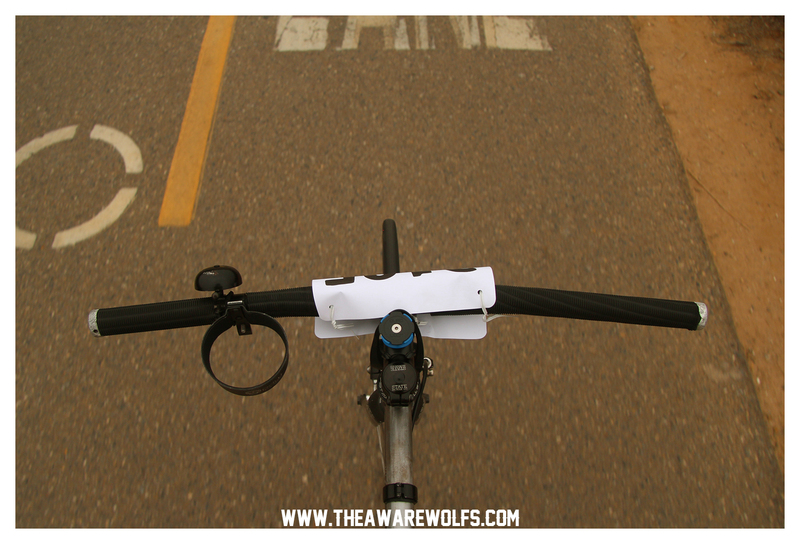 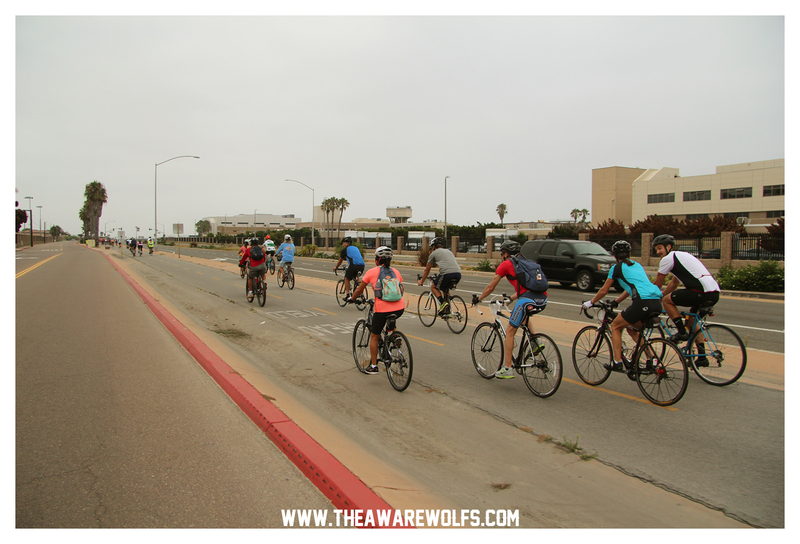 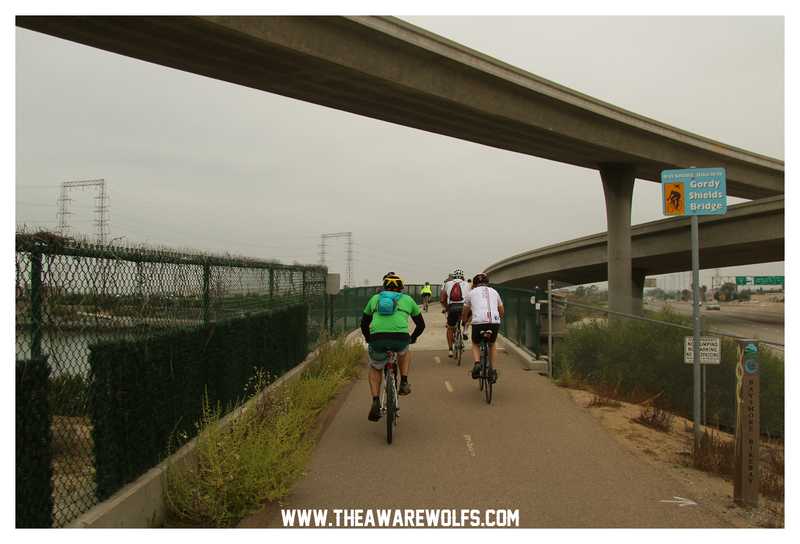 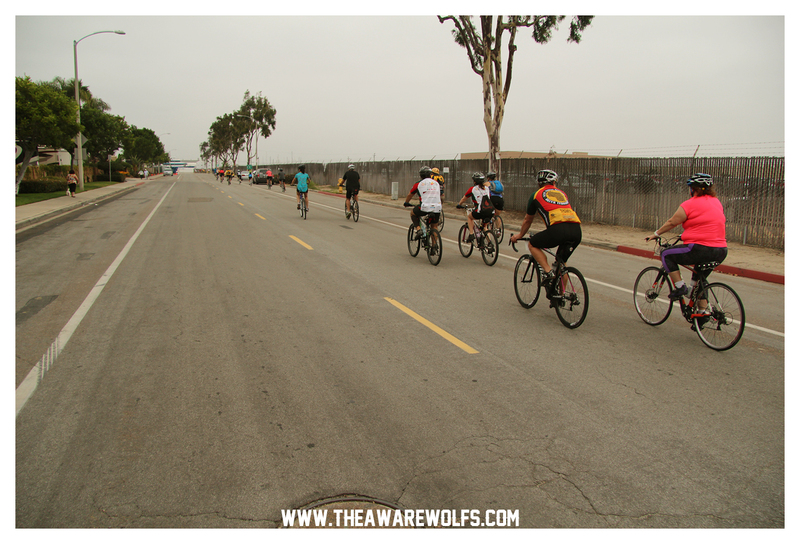 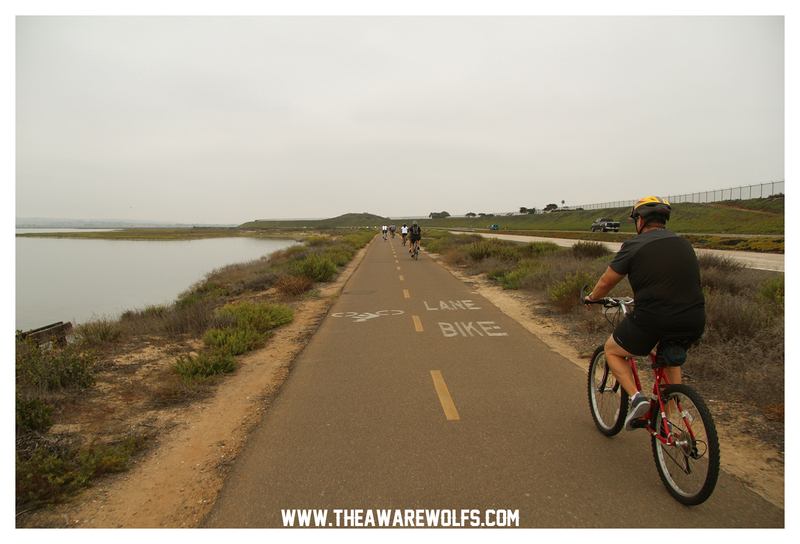 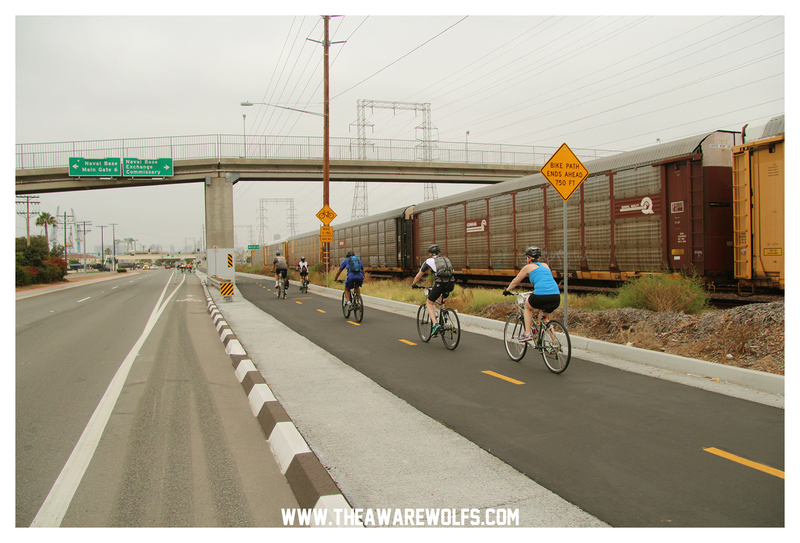 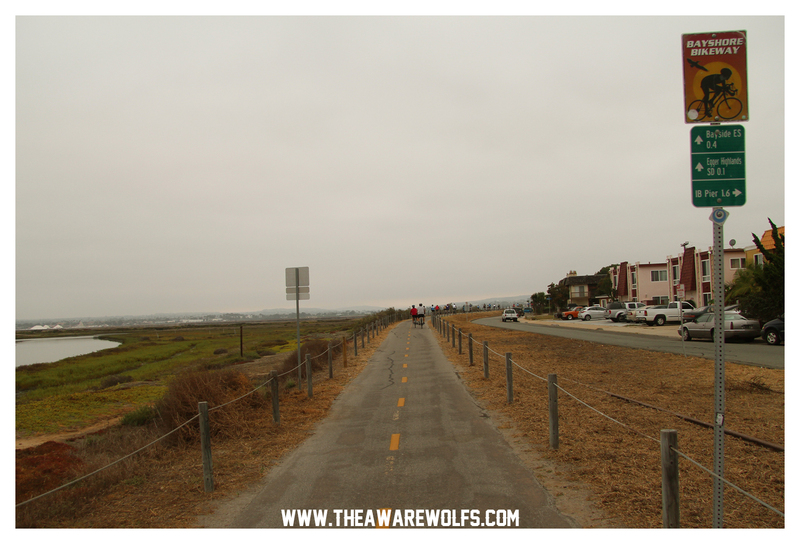 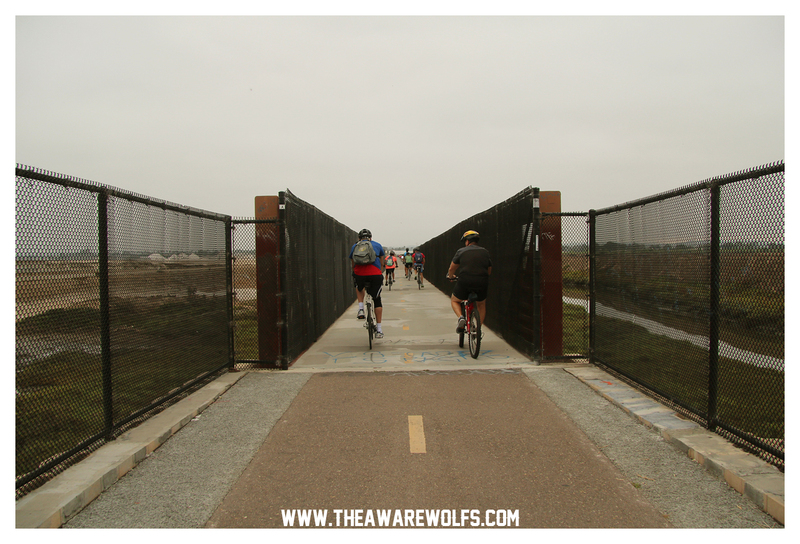 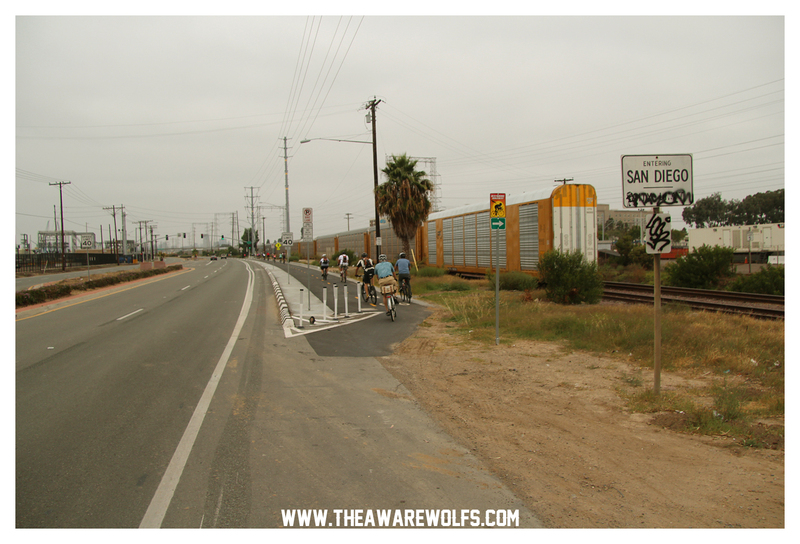 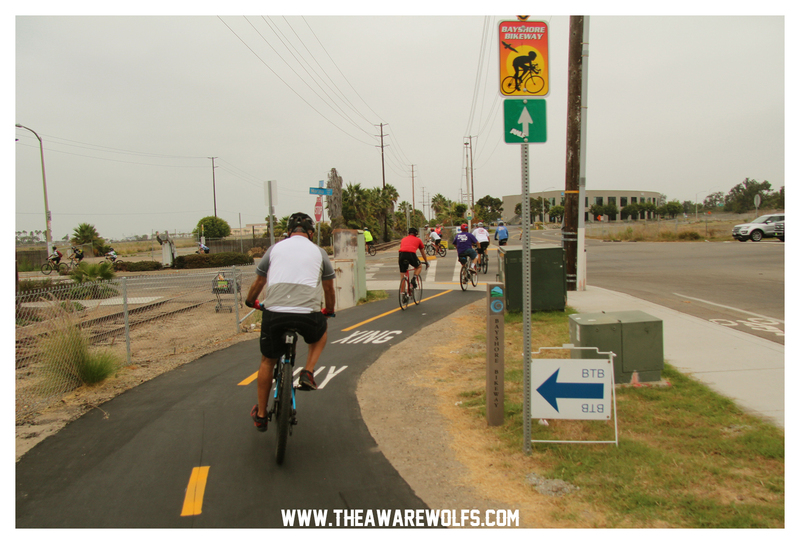 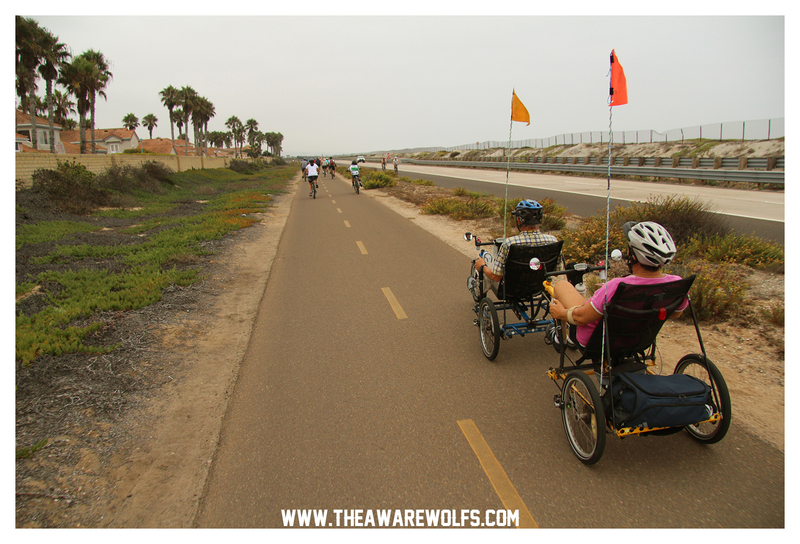 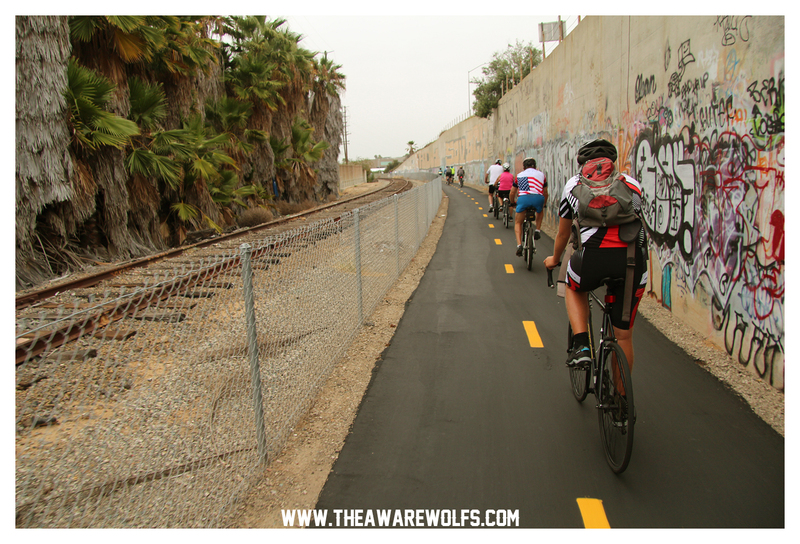 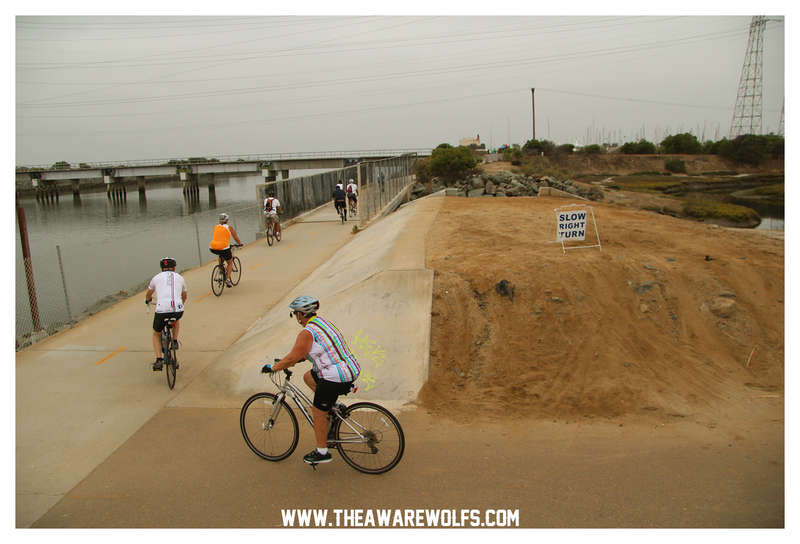 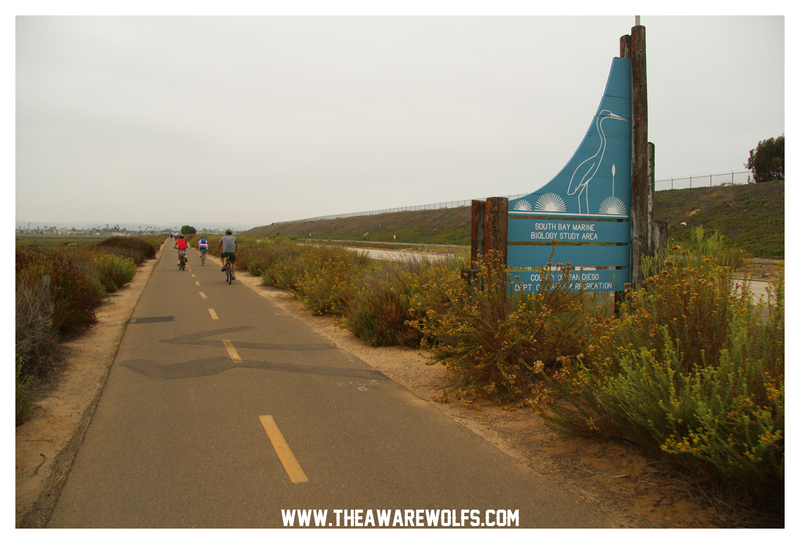 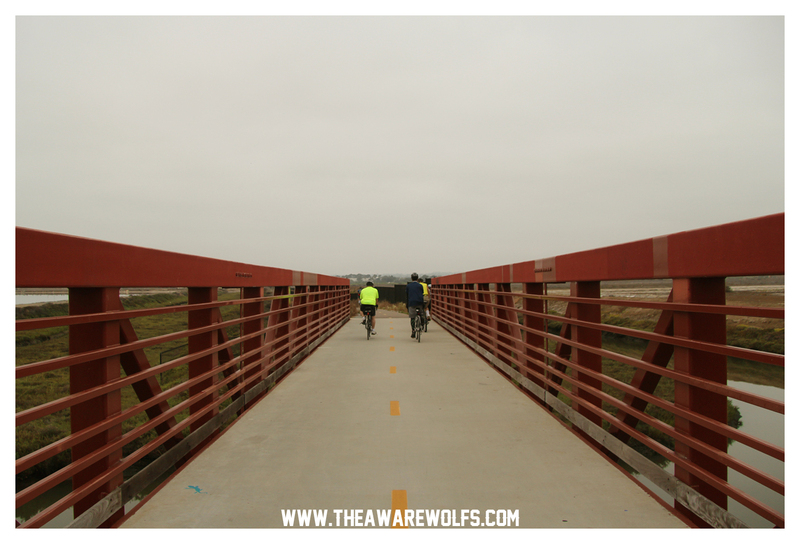 They also act as a voice for bicyclists to elected officials and decision makers throughout the San Diego region. 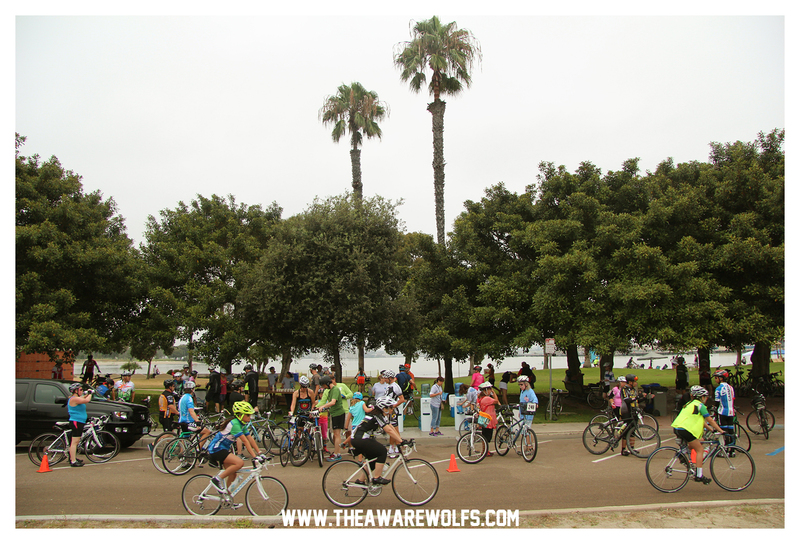 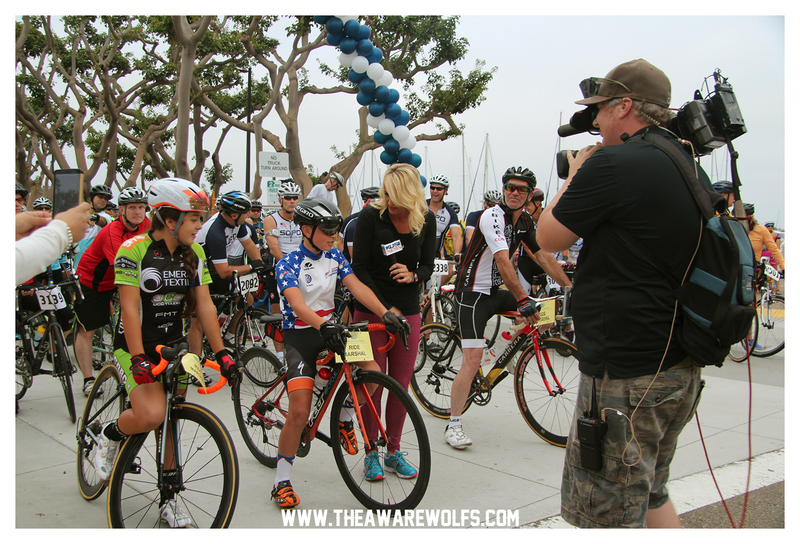 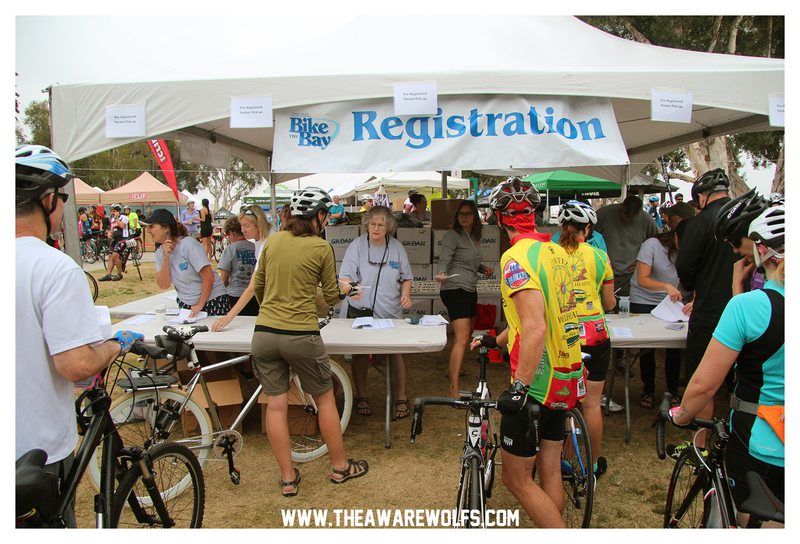 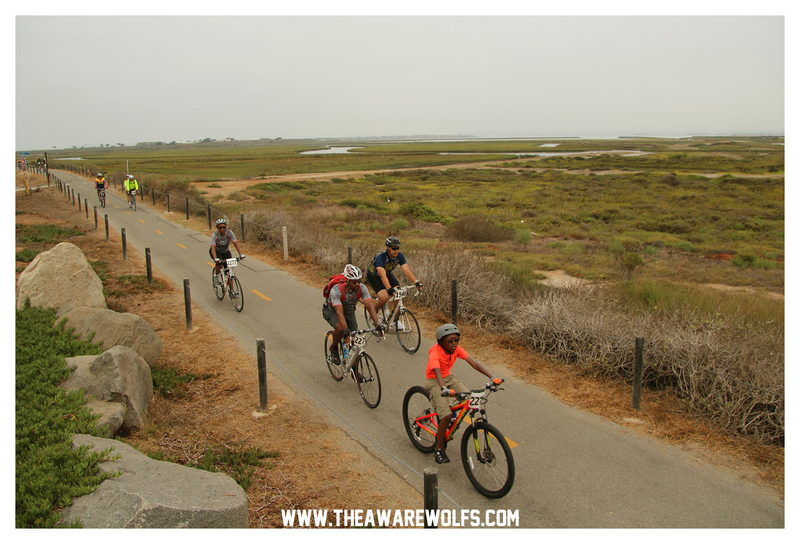 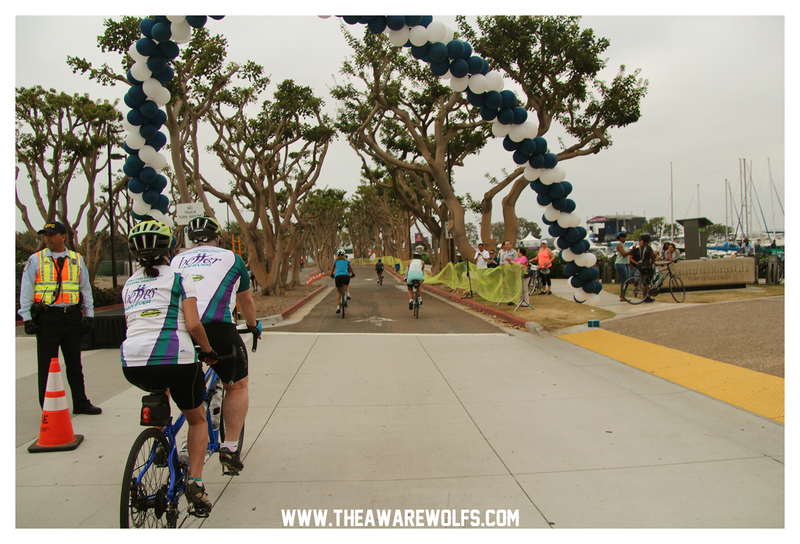 Thanks everyone who came out to the 8th Annual Bike the Bay!